We recently had the chance to try Oogie's Gourmet Popcorn. "Here at Oogie's, we are popcorn lovers! It started as a fun experiment in our kitchen and sparked a natural popcorn revolution. We know the best tasting popcorn starts with the perfect kernel so we know where our corn comes from and who grows it. Our non-GMO corn is a proprietary hybrid - the only place you'll find it is in a bag of Oogie's. Besides being outstanding in their field, our farmers make sure we have the highest quality kernels to meet our rigorous standards. 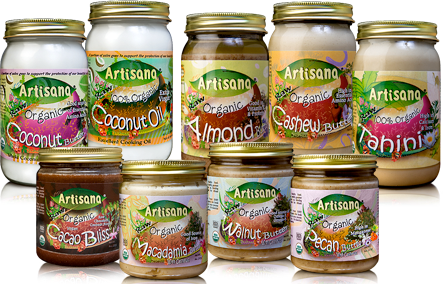 Next step is using the finest all-natural ingredients, without any artificial flavors or colors, ever. And popping in 100% percent corn oil ensures we create a delicious treat that has no cholesterol, no trans-fat, and is entirely gluten-free. Did we mention we kettle pop in small batches, the old fashioned way, to ensure your popcorn experience will be Oogieriffic. Too corny? That's ok, our flavor makes up for it. Join the fun. We'll turn you popcorn lovers into gourmet popcorn aficionados one kernel at a time." What we thought: This was some of the best gourmet popcorn we've tasted! First of all, the flavor range is amazing. Yes, they have delicious versions of the everyday butter and white cheddar varieties, but then they throw in the less common, but just as delicious flavor combos. Check this out...Smoked Gouda...Cracked Pepper and Asiago...Sun Dried Tomato and Parmesan...Hatch Chili Con Queso...Spicy Chipotle and Lime. Wowza! Talk about gourmet popcorn! Each bag was well seasoned without being overpowering, the perfect blending of some really fantastic flavors. Oogie's really knows how to kick it up a notch in the snacking category! There wasn't a single flavor we didn't like. Oogie's Gourmet Popcorn would make a great addition to any lunch box, a yummy afternoon snack and of course, the perfect pairing with family movie night:) ABCD Diaries gives Oogie's Gourmet Popcorn an A+! Buy It: You can find these fantastic goodies at Oogie's Gourmet Popcorn! Use the store locator to find a retailer near you. Disclosure: ABCD Diaries was given Oogie's samples for review purposes only. We were in no other way compensated. The opinions expressed in this post are ours and ours alone. We recently tried out a handful of pens from Pilot's new FriXion line. "FriXion Erasable Technology Now With Needle Point Precision! •Erase and rewrite repeatedly without damaging documents! •Highlight and erase repeatedly without damaging books or documents - No wear or tear! •Brilliant fluorescent ink colors bring instant recall to important information"
What we thought: These writing tools were great! I have never even heard of an erasable highlighter, so I was super excited to find that Pilot's FriXion highlighter really worked. These really are some cool pens! They come in a variety of colors too, way more than your standard black and blue ink. The pens write smoothly and erase quickly and easily with just the use of a little friction. Too cool! These pens and highlighters would be great for back-to-school, home or office use. ABCD Diaries gives Pilot's FriXion products an A+! Buy It: You can find these awesome pens and highlighters at mass merchandisers and office supply stores nationwide! Disclosure: ABCD Diaries was given a Pilot pens for review purposes only. We were in no other way compensated. The opinions expressed in this post are ours and ours alone. "JUST IN TIME FOR SCHOOL! While there’s still plenty of summer left, getting ready for the new school year is already here. Pencils, pens, notebooks, lunch boxes are now available in stores for parents to prepare their children to get back to school. But what about talking? How are parents preparing their family to make this a better school year? Is better communication on the list? 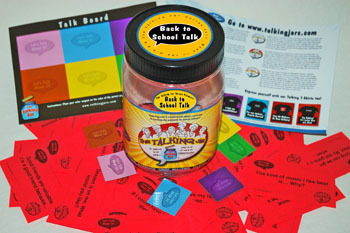 The Talking Jar Series has just released what will surely become an essential back-to-school item: The Back-To-School Talking Jar! Each jar is packed with individual open-ended discussion starters designed to help parents and students talk together about the upcoming school year. The Back-To-School Jar covers a wide range of topics related to the start of school as well as on-going school related issues. ● The most difficult thing about last school year was___because___. What we thought: These jars are a great way to bring your family closer together. They can also help your child verbalize things they may not have been able to talk about by offering thoughtful prompts. These are quality questions that can really get a discussion going. We went through some of the questions with A before her first day of school and I think it really helped her to know more about what to expect. These jars would be great for sparking conversation within any family. What a great way to bring the family together! ABCD Diaries gives The Talking Jar an A! Buy It: You can find these jars at The Talking Jar! Win It: The Talking Jar has generously offered one ABCD Diaries reader a prize pack that includes the Back to School Talking Jar and the Bullying Talking Jar! To enter, follow our blog via GFC and comment below. Giveaway ends Tuesday, September 13, 2011 at 11:59cst. 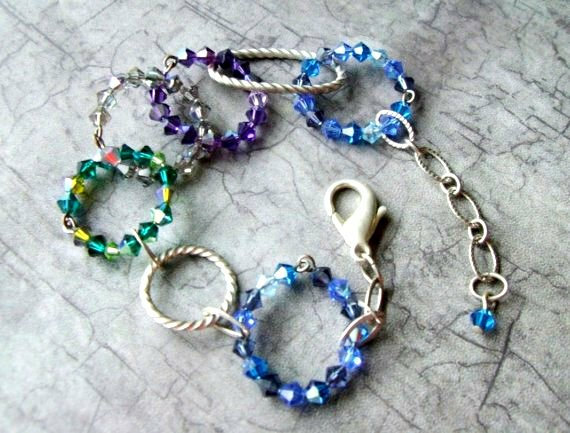 Winner will be chosen via random.org and emailed. They will have 48 hours to reply. Open to US residents 18+:) No PO Boxes. Disclosure: ABCD Diaries was given a talking jar for review purposes only. We were in no other way compensated. The opinions expressed in this post are ours and ours alone. We recently had the chance to review a couple of great cleaning tools from Full Circle. "Part bamboo handle + part natural & recycled bristle blend = entirely earth-friendly. Basically, it’s as easy on the earth as the vegetables you clean with it." Quick, where’s the towel? Right where you threw it. 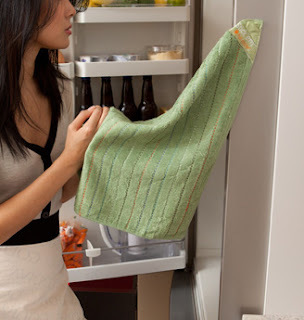 The built-in magnet makes this towel a convenient time saver – just grab it off your refrigerator door or oven and throw it back when you’re done". 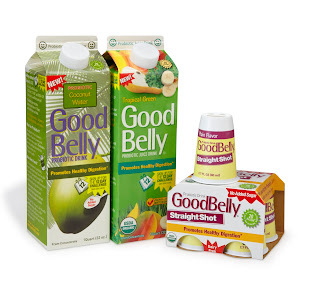 What we thought: These products were great! The Ring was a really handy veggie brush. 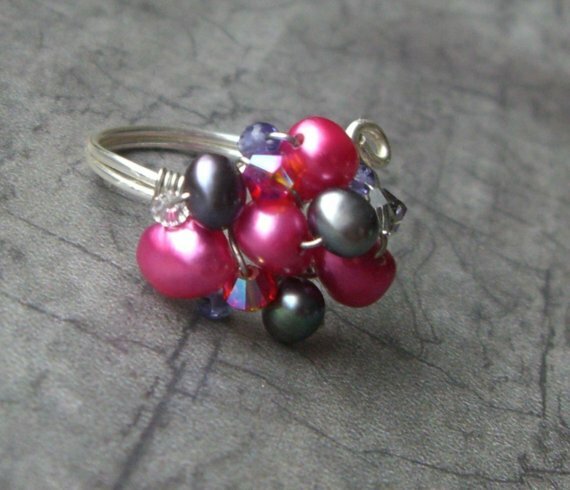 We've used other types of brushes to clean our veggies, but we were super impressed with the results of the Ring. The bristles were abrasive enough to get the job done, but not so tough that they dug into the flesh of the the fruits or veggies. The unique ring shaped handle allowed for a comfortable, non-slip grip. Not to mention the brush looks pretty cute in the windowsill above the sink:) The Stick 'Em towel is fantastic! It is super soft and decently absorbent. We use it to dry our hands after washing them in the kitchen sink. The towel stays securely on the side of our fridge and, just like the Ring, looks pretty awesome in our kitchen:) It is so convenient to have a towel that stays put on the fridge. It has really cut down on the kitchen towel use too, since before we would grab a clean towel to dry our hands and then it usually made its way to the laundry because it was just left on the kitchen counter. Less laundry, less waste...I love it! What a great way to reduce your family's carbon footprint! ABCD Diaries gives Full Circle cleaning products an A+! Buy It: You can find these cool kitchen helpers at Full Circle! Win It: Full Circle has generously offered one ABCD Diaries reader an awesome prize pack that includes a Come Clean Spray Bottle, a Stick 'Em Towel and a Tater Mate potato brush! To enter, follow Full Circle via Facebook AND Twitter and comment below. Disclosure: ABCD Diaries was given the Ring and a Stick 'em towel for review purposes only. We were in no other way compensated. The opinions expressed in this post are ours and ours alone. We recently had the chance to review new Planters Peanut Butter! "Peanut butter had some growing up to do. And as the reigning peanut experts, who better to make it happen than Planters? After all, isn’t it about time for a more sophisticated peanut butter? Made of 90% peanuts, Planters Peanut Butter is a nutrient-dense energy source and provides 10% or more of the daily value for seven essential nutrients, including magnesium and antioxidant Vitamin E.
Although there is not much better than a classic peanut butter and jelly sandwich, Planters, America’s leading snack nut brand, is encouraging adults to also think outside the lunchbox when it comes to peanut butter. To explore the versatility of peanut butter, Planters Peanut Butter commissioned famed Chef Marcus Samuelsson to create exclusive recipes with a contemporary twist for snacking and entertaining. Recipes such as Planters Peanut Butter-Chocolate French Toast and Planters Peanut Butter Steak Sauce serve-up peanut butter adult style. To view Marcus’ recipes and see the newest character in Planters “Naturally Remarkable” world - Peanut Butter Doug, Mr. Peanut’s dubious and adventurous stunt double - check out Mr. Peanut’s Facebook page at www.facebook.com/mrpeanut "
What we thought: We really enjoyed Planters take on peanut butter. Both varieties were fantastic! They were spreadable and not too dry or too oily. They captured that salty sweet yumminess we love in our peanut butter perfectly! We tried the peanut butter on a sandwich and on toast, as a dip for apples, celery and pretzels and in cookies, both no-bake and classic pb...MMM! This peanut butter is small on ingredients (peanuts, sugar, oil and salt) but big on taste which in my opinion is a fantastic combination! ABCD Diaries gives Planters Peanut Butter an A+! Buy It: You can find Planters Peanut Butter at grocers nationwide! Win It: Planters has generously offered one ABCD Diaries reader prize pack that includes one jar of creamy and one jar of crunchy peanut butter! To enter, follow our blog via GFC and comment below. Giveaway ends Monday September 12, 2011 at 11:59cst. Winner will be chosen via random.org and emailed. They will have 48 hours to reply. Open to US residents 18+:) No PO Boxes. Disclosure: ABCD Diaries was given peanut butter for review purposes only. We were in no other way compensated. The opinions expressed in this post are ours and ours alone. We recently had the chance to review a few products from Sportcraft. In 1926, the General Sportcraft Company was founded and immediately secured a unique niche in the marketplace. In these times, most department stores did not carry sporting goods, so General Sportcraft helped pioneer the concept of "Family-fun" departments within the store. Soon, the popularity of these departments spawned stand-alone sporting goods stores, and Sportcraft's legacy was secured. Sportcraft.com features our full line of indoor games and outdoor games for the family to enjoy." " Sportcraft’s new Soft Tip Sky Darts include four large weighted darts with soft rounded tips and two scoring rings. The weighted tips are designed to ensure that the dart remains upright after every toss, for easy and accurate scoring. Suitable for play on any surface, Soft Tip Sky Darts are perfect for use indoors or out. Soft Tip Sky Darts come in a convenient mesh carry and storage bag and are available at Sporcraft.com for a suggested price of $24.99"
"Made for serious and novice tailgaters alike, Sportcraft’s new Three-in-One Tailgate Game will bring friendly competition and entertainment to pre-game tailgates, camping trips, backyard barbeques and more. Consisting of three of America’s favorite recreation games - Bean Bag Toss, Ladderball and Washer Toss - Three-in-One Tailgate Game includes two 33" x 22.75” wood target boards, two 23.625” x 46” wood ladders, six golf ball bolos, six washers and eight bean bags. Sportcraft’s new Three-in-One Tailgate Game’s components are stored within the two target boards when locked together for easy transport and storage. Three-in One Tailgate Game is perfect for ages 6+ and is available at Sportcraft.com for a suggested retail price of $139.99"
What we thought: We had a blast with these family-friendly games from Sportcraft! These games gave us the opportunity to get outdoors and have a really good time with family and friends. The yard darts were awesome:) I remember the yard darts we had when I was little had the pointy ends and my mom was always afraid we were going to poke someone's eye out with those things. I don't have to worry about that with the soft-tip yard darts from Sportcraft:) They have a weighted base that is smooth and safe. They were fun and easy for the whole family...even 2 year old D. With football season just beginning, we were super excited to try the 3-in-1 Tailgate Game and we were not disappointed. 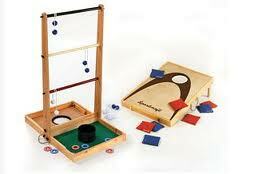 This set includes ladderball, washers and bean bags. The set-up was super simple and take down was a breeze as well. The games were so much fun! Once again, even the oldest and youngest members of our family were able to enjoy these games. The game folds up conveniently for travel, but is super sturdy and very well-made. It is a tad bit heavy when it is all put together, but nothing we couldn't handle especially with the attached carrying strap. Both products we reviewed would be great for backyard use, camping trips, a day at the park or the beach and of course, tailgating:) Sportcraft has a variety of indoor and outdoor games that will really bring your family together:) ABCD Diaries gives Sportcraft an A+! Buy It: You can find these fun family games at Sportcraft! Win It: Sportcraft has generously offered one ABCD Diaries reader the 3-in-1 Tailgate Game! To enter, follow our blog via GFC and comment below. Giveaway ends Monday, September 12, 2011 at 11:59cst. Winner will be chosen via random.org and emailed. They will have 48 hours to reply. Open to US residents 18+:) No PO Boxes. Disclosure: ABCD Diaries was given a few products for review purposes only. We were in no other way compensated. The opinions expressed in this post are ours and ours alone. "Read the question, scan the possible answers, and slam the one that’s correct! Better move quickly, though, each game of 10 questions is timed— the faster you get through the questions, the better your score! Incorrect responses are recycled until they are correctly answered. 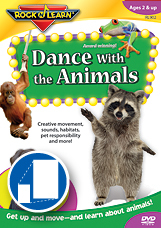 Three levels, flashing lights, and fun sound effects keep players interested." "Academic vocabulary development and familiarity with multiple-choice format is crucial for successful standardized test-taking. 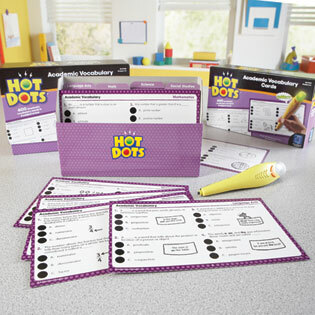 Hot Dots® Academic Vocabulary Card Sets makes it fun to build academic vocabulary! Each set of 50 double-sided cards reinforces 400 important academic vocabulary words from science, math, social studies, and language arts using the interactive Hot Dots Pen (sold separately). 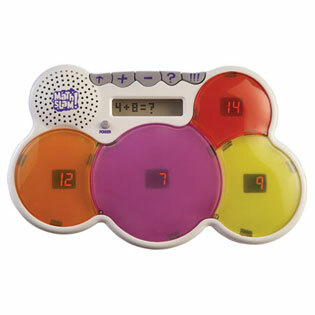 Perfect for learning centers or anywhere in the classroom, this self-checking system enables students to work independently with instant reinforcement." 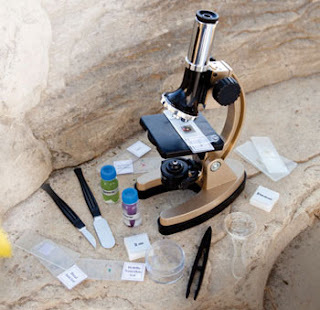 "MicroPro 48-piece Microscope Set 50x, 100x, 150x, 300x, and 600x magnifications With the GeoSafari MicroPro, young scientists can investigate everything from cells to crystals! Perfect for individual or classroom use, the glass eyepieces and power settingfrom 50x to 600x provide users with superior precision viewing. The built-in light and rack and pinion focusing help deliver bright, clear images. The 48-piece kit has professionally prepared slides and everything users need to make their own specimen slides. Not a toy, but a scientific instrument, the GeoVision MicroPro includes high-quality components and features that make it appropriate for science learning at any age." "Offers a big dino-digging challenge on a small scale. 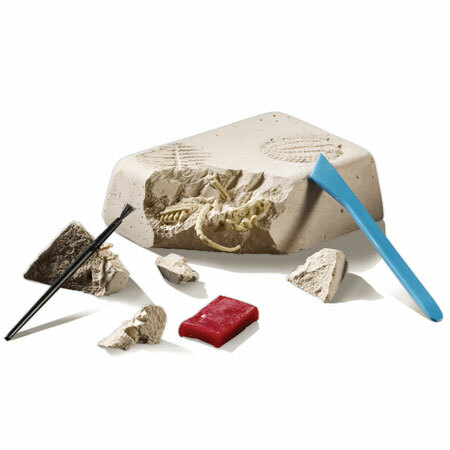 Paleontology set provides a realistic archaeological challenge on a student-size scale. What we thought: Another great group of goodies from Educational Insights this time around. Math Slam has really helped 5 year old A practice her math skills...this should be super helpful since she just started school:) The Hot Dots cards are a lot of fun and even though they are recommended for grades 1-3, A has been able to answer many of them already. These cards are great for vocabulary practice and span several subjects...definitely a well-rounded card game. The Hot Dots pen is a lot of fun to use and provides the positive reinforcement that keeps A wanting to answer more questions:) The MicroPro 48 piece is a very extensive microscope kit that is perfect for older scientists, I'd say 5 years and up. As long as your kiddos know how to be gentle with the microscope, they will love this. The pre-made slides were super interesting for A and the materials to make our own slides were awesome as well. This is a great kit for budding scientists. The favorite product this round was the Dino Dig Kit. This provided hours of fun for our whole family. From excavating the bones to building the models, this project was crazy fun and interesting! This was by far one of the funnest family science projects we have done and we really recommend it for your family if you have young (or old:) dino lovers! Once again, the Educational Insights products we reviewed get an A+!! Buy It: Find these awesome learning games and supplies at Educational Insights! They are currently running the California Dreamin sweepstakes on Facebook which will be ending August 31st. They are offering 2 free tickets to sunny Southern California for a 3 day 2 night stay to view a live taping of the Jeopardy Show! Get your entries in! What we thought: This top is great! 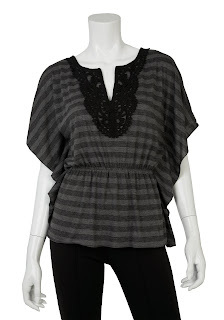 It is stylish and lightweight and the flutter sleeves are really cute. The cut is very flattering and the shirt itself is super comfy. 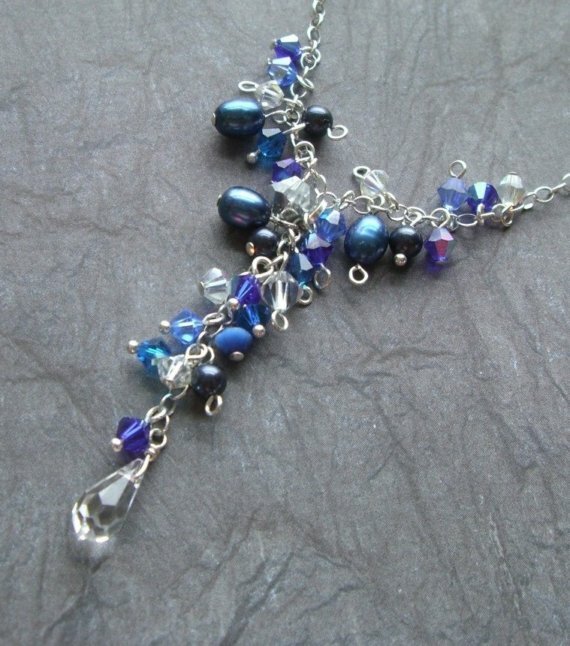 It can easily be dressed up, but also looks fantastic with jeans! I've gotten several compliments and that puts a smile on my face every time:) The new fall line up from B WEAR is fabulous! I love how they have a variety of styles which includes dressy tanks in fall colors, cozy short sleeve sweaters, and gorgeous jackets. This line includes lots of affordable pieces that are great for layering and will make you look awesome this fall! They have something for everyone's budget and they're easy to find at JC Penney's and through their online store as well. ABCD Diaries gives B WEAR an A+! Buy It: You can find B WEAR at JC Penney's! We recently had the chance to try a dry-erase wall calendar from WallPops! "Dry erase WallPops are the most convenient and fashionable way to keep up with the times. Choose from dry erase calendars, maps, message boards and dots in an epic assortment of colors and styles. Calendars come in one and four month sets so you can plan ahead. Message boards are an entertaining and interactive way to jazz up a room. 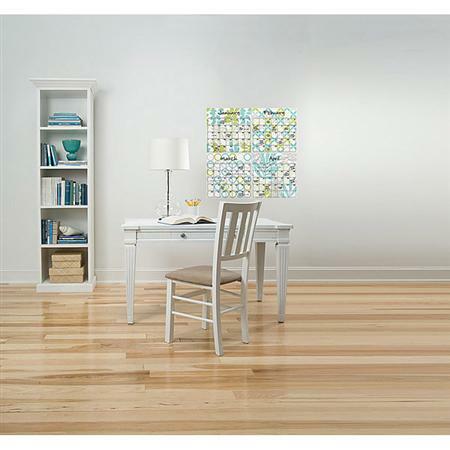 Leave notes, keep track of each other, or create your own wall art on these dry erase boards. This collection is perfect for home, school, or office and all of our WallPops dry erase items are totally repositionable which makes functional decorating fun. 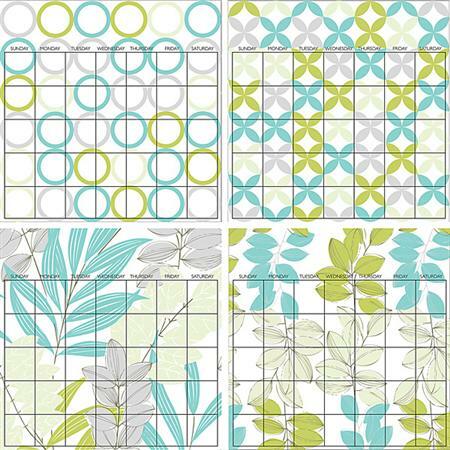 Habitat 4 Piece Calendar SetExude a soothing and serene earthiness! Habitat 4 Piece Calendar Sets contain 4 - 13" x 13" sheets and include a Dry-Erase pen. Habitat 4 Piece Calendar Sets are repositionable and totally removable. Like WallPops’ Facebook page for a chance to win free products weekly – so easy! Fan will be chosen randomly every Wednesday to receive $50 worth of product. Please stay tuned to see who wins each Wednesday, it could be you! Rules and regulations apply, found in Notes section." What we thought: I am really loving our WallPops Dry Erase calendar! We put it up in our breakfast area and it has really helped keep us organized not to mention it looks great! What an easy way to decorate without the commitment of permanent fixtures, paint or hammer and nails! The pieces were very easy to apply and wipe clean. These would be great for a kid's room or dorm room or anywhere that you'd like to decorate, but not permanently. Of course, you could leave them up permanently, but if you're decorating for the semester and you have to take it all down when classes are over, these would be great! They can be taken down and reapplied as well, which is super awesome! 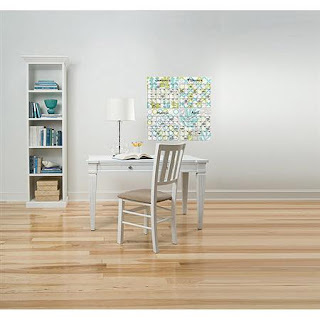 WallPops has a variety of wall art and dry erase products that would fit into anyone's decor. The calendar is especially awesome because the blocks are large enough to fit all of our special days and errand reminders. We won't have an excuse for forgetting these things now...they are so stylishly displayed:) ABCD Diaries gives WallPops an A+! Buy It: You can find cool wall decor at WallPops! Win It: WallPops has generously offered one ABCD Diaries reader winner's choice from the WallPops line of wall art! (Fathead and Euro not included) To enter, follow our blog via GFC and comment below. Disclosure: ABCD Diaries was given a calendar for review purposes only. We were in no other way compensated. The opinions expressed in this post are ours and ours alone. We recently had the chance to review several products from the InventHelp store. Your Source for "Unseen On TV" & "As Seen On TV" Products! Here you can purchase innovative new products invented by our very own InventHelp clients. These items offer cutting-edge consumers a great place to look for unique devices, gadgets and tools that provide solutions to everyday problems. Browse our numerous product categories and you're sure to find something that catches your eye!" "Imagine how strange the world would look if everything was upside down. Well, that’s exactly the illusion Cyber Scopes™ glasses create! Families and friends will have loads of fun watching each other try to complete challenges while wearing the disorienting goggles. 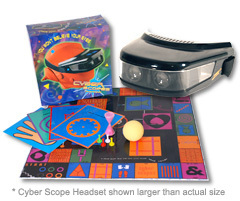 A Cyber Scopes set includes a pair of special glasses, game board, 16 puzzle pieces, 7 puzzle cards, 1 foam ball, dice, a pen and two timers. Players compete to make their way around the game board as quickly as possible by completing tasks wearing the Cyber Scopes. Tasks range from putting together a puzzle to catching a ball in the air to reading a single word. While the tasks may initially sound easy, they become a whole lot more difficult when the world is turned upside down by the Cyber Scopes! These distinct glasses put a new spin on the board game that will provide hours of laughter and entertainment for adults and children alike. "Tossing washers is a popular sport in the Midwest, and some form of the game is played in most parts of the country. Since traditional, homemade washer games are usually large and difficult to transport, the game typically stays in the backyard and never makes it to picnics or camping trips. But Tosshers™ allows players to take the game anywhere – indoors or outdoors. Tosshers is played back and forth between targets like horseshoes, with up to four players at one time tossing the washers a small distance into the opposing targets. With concentric target rings, harder shots earn more points. Setting up the game in different formations is easy. 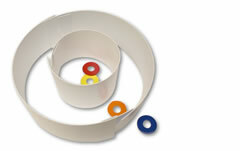 To create a large target, simply interlock three strips together to form an enclosed circle. A smaller "bullseye" is made to fit inside the larger circle by interlocking the slots of one strip. Each Tosshers kit is portable and includes 10 slotted plastic strips (each measuring 2-feet by 4.6-inches), 12 plastic stakes and 16 powder-coated, colored rings. Assembly directions, game rules and suggested scoring are printed on the bottom of the portable carrying case. •Easy for those with limited mobility and dexterity"
"For years, the elusive quest for a comfortable portable chair has frustrated even the most well-seasoned tailgaters and campers. Until now, that is. The Air Chair® brings the comfort of a living-room recliner to the parking lot or campground. 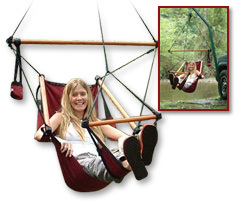 This unique device uses the weight of a car, truck or RV to suspend a cushioned chair in the air. Ideal for sporting events, camping trip and concerts, the Air Chair can be assembled in a matter of minutes. The steel Air Chair Vehicle Stand will not rust, and requires no tools for assembly. A person simply backs a vehicle’s rear tires onto the support brackets for security, and then hangs the Air Chair from the stand. The relaxing Air Chair is constructed from durable nylon that provides maximum comfort and holds up to 600 pounds. The perimeter of the Air Chair® is reinforced with one-inch webbing to help maintain the original shape and design. Adjustable straps enable a user to recline, and the seat also incorporates arm rests and a drink holder. •Available in blue, green, yellow, purple, orange, maroon, teal and cheetah colors"
The Air Chair was awesome! Set up wasn't to difficult and it was super comfy. I was a little nervous to climb in at first, but we quickly realized this chair could safely hold each member of our family. Now, I'm addicted! It is great for the beach and camping, but I even use it in the backyard(our garage is behind the house:) The chair is durable and really well-made and I have no doubt it will last a long while. ABCD Diaries gives the products from InventHelp an A+! 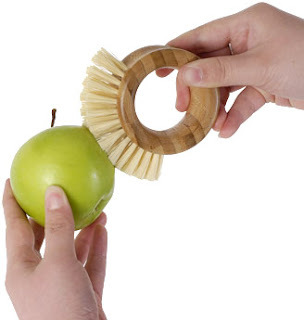 Buy It: You can find these fantastic products and other new and fun inventions at InventHelp! "At Mata Traders we believe that giving women economic power and viable working skills can transform a community (and so the world) and is the surest way to combat poverty. That’s why all of our fair trade clothing and accessories are handmade by women’s cooperatives in India and Nepal. We work with local communities and use traditional artisan skills to create products that make the world a better place - and make YOU look good too!" "Fair trade hand bag - modern hand stich gives this bag a contemporary feel. Perfect fit of a laptop computer! Three large interior pockets; zipper closure; 32" long. 100% Cotton." What we thought: This bag is great! 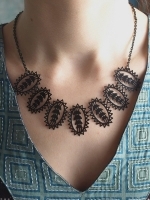 It is beautiful and the attention to detail is obvious. I get so many compliments each time I use it! I recently down-sized from a diaper bag to this bag now that D is potty trained, and this bag is the perfect size. I can still hold plenty, but the bag isn't bulky or difficult to carry. I love the various pockets and the bag is great for carrying the laptop. Thes bags would be great for a high school or college kid to use for school and you get the added benefit of knowing you are buying fair trade:) Mata Traders has a large variety of fair trade fashion items including women's clothing and accessories. ABCD Diaries gives Mata Traders an A+! 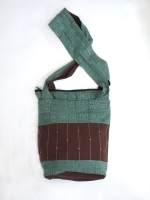 Buy It: You can find these gorgeous bags and much more fair trade fashion at Mata Traders! "MyOwnPet Balloons is all about imagination. Kids of all ages love to pretend, whether they’re taking their new pet Pony for a gallop, their penguin for a waddle, or their purple, pink and white Bunnies for a hop around the house. Best of all, there’s something for everyone: Puppies, Dinosaurs, a Pot-Bellied Pig and more." 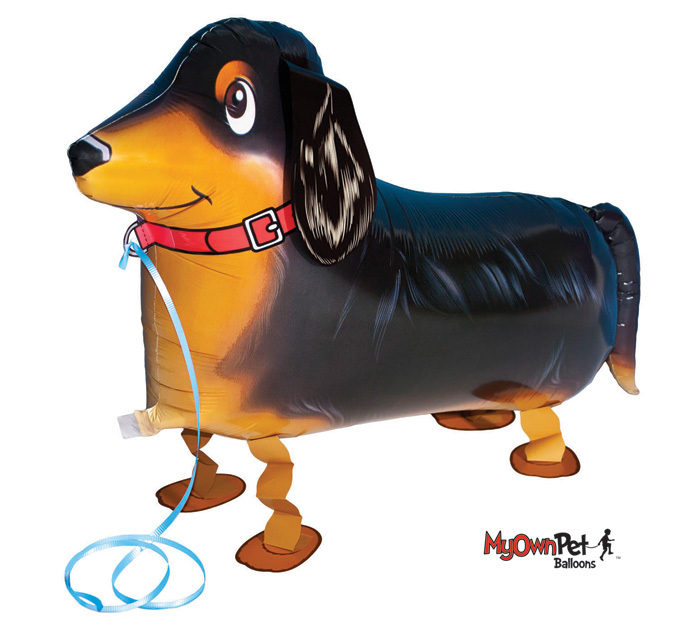 "At MyOwnPet Balloons, we’ve created the perfect pet playmates with high-quality materials, welded seams and special inflation valves designed for long-lasting fun. So collect them all, and give the gift that keeps on giving smiles." 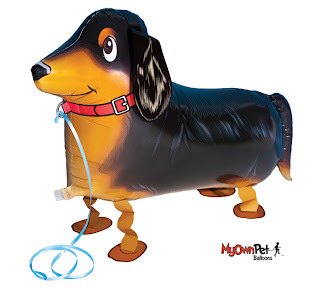 What we thought: We had a ton of fun with our miniature dachshund MyOwnPet Balloon:) We took it with us to my nephew's 5th birthday party and he was a huge hit! Definitely one of the favorite gifts and the center of attention(next to the birthday boy of course:) The selection of "pets" is enormous...they have farm animals, wild animals, pets and even dinosaurs! 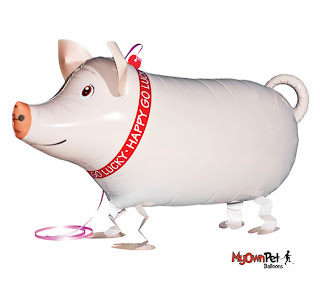 MyOwnPet Balloons would be perfect for kids of all ages and even adults. They are so fun and cute, everyone is sure to love them. These balloons are an awesome novelty gift. ABCD Diaries gives MyOwnPet Balloon an A+! 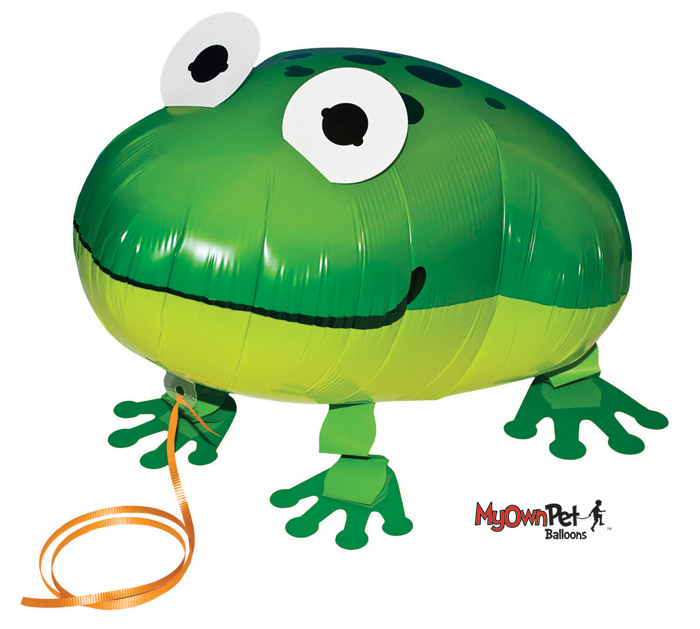 Buy It: You can find these fun friends at MyOwnPet Balloons! Win It: MyOwnPet Balloons has generously offered one ABCD Diaries reader a balloon of their choice!! To enter, follow our blog via GFC and comment below. Disclosure: ABCD Diaries was given a balloon for review purposes only. We were in no other way compensated. The opinions expressed in this post are ours and ours alone.